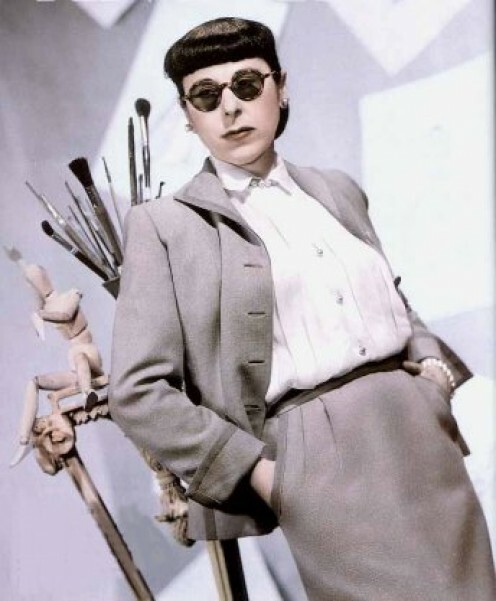 Legendary Hollywood costume designer Edith Head received more Academy Award nominations (35 in all) than any other women in Hollywood and won eight of them. Head was a power house of design, a true original, a trend-setter and fashion-wise, ahead of her time. Even today her severe black hair and eccentric thick-rimmed, tinted glasses would not look out place. A mink and sequins clad Ginger Rogers in a still from "Lady in the Dark"
Luscious Dorothy Lamour in a still from "Hurricane". After a stint teaching French and Art at the Hollywood School for Girls, Head scored a job with the costume department at Paramount Studios. In the interim she had married Charles Head, whom she divorced in 1938. Although she lter remarried she keptHead as her professional name. The silent film The Wanderer (1925) was Heads first major project and she designed the costumes for it. The Wanderer was the start of a beaufitul career and by the 1930's she was acclaimed as one of Hollywood's top costume designers. 1938 was a breakthrough year for her, as that was year the studio's prominent designer, Travis Banton, left the studio, allowing Head toshine independently. Head went from strength to strength and it was during her Paramount years that she was nominated for her academy Awards.Many of the iconic Hollywood fashion items from the period were designed by her; think of Dorothy Lamour's sarong dress from Hurricane , Ginger Roger's mink and sequins gown inLady in the Dark (1944) , Bette Davis's lush suits and gowns in All About Eve (1950) and later after, she joined Universal, Grace Kelly's coolly urban wardrobe in Rear Window(1954). 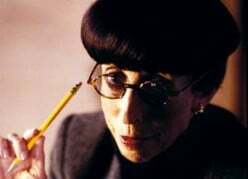 Head was not without her critics though, many of whom criticised both her work methods and her opposition to unions, which would have given studio-based designers more clout in the industry. The designer also had a reputation for claiming credit for the work of others, although in the early days of Hollywood, it was common practice for a head of a costume departments to put their own name to the studio designs. On a personal level, many of her contemporaries speak highly of her warmth and generostiy - she was a great home entertainer and fully enjoyed the company of others. 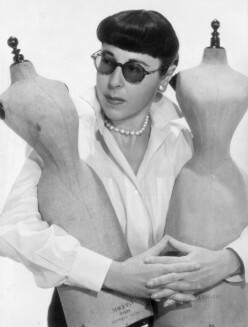 In 1967 Edith Head switched over to Universal, where she stayed until the year of her death in 1881. During this period she also branched out into televesion work as the studi system was changing and many of the great stars she had worked so closely with where no longer around. At Paramount head had formed a close professional relationship with British director, Alfred Hitchock and the pair worked on many of his films together. 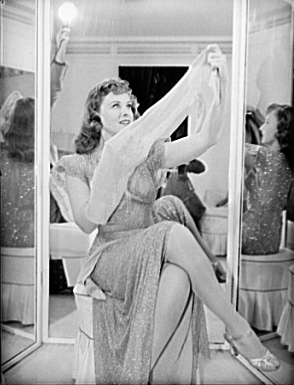 Some suggested her move from Paramount was spurred on by Hitchcock's move from Paramount to Universal a few years earlier. Edith Head died in 1981, four days before her 84th birthday and was interred in Forest Lawn Memorial Park Cemetery in Glendale, California.The legendary designer has a studio named after her and her own star on Hollywood Boulevarde but her true legacy will be remembered via the millions of film viewers who continue to admire the many wonderful costumes she created. 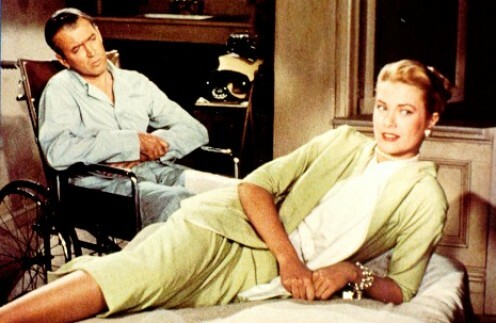 Grace Kelly, elegantly dressed by Edith Head for "Rear Window"
Edith Head died in 1981, four days before her 84th birthday and was interred in Forest Lawn Memorial Park Cemetery in Glendale, California. Her final film was deadMen don't Wear Plaid, starring Steve Martin and the film was deciated to her. The legendary designer has a Prop Building at Universal Studios Hollywood and a Costume building at Paramount named after her and her own star on Hollywood Boulevarde but her true legacy will be remembered via the millions of film viewers who continue to admire the many wonderful costumes she created. 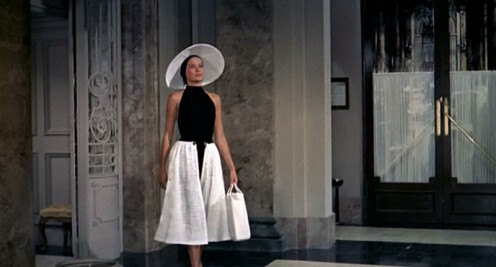 Grace Kelly in an Edith Head classic from "To Catch a Thief"